Midnight Special is a science fiction adventure movie written and directed by Jeff Nichols (Mud). 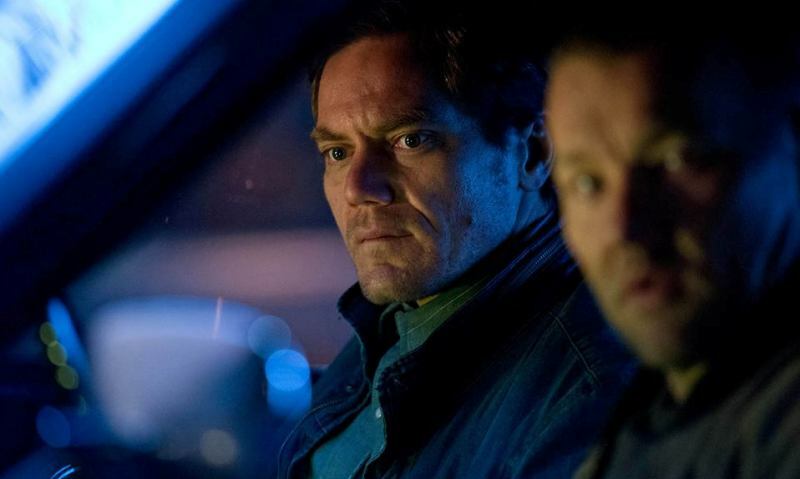 The film features acting performances by Michael Shannon, Joel Edgerton, Kirsten Dunst, Jaeden Lieberher, Adam Driver, Bill Camp, Scott Haze, and Sam Sheppard. Alton (Lieberher) is a special child. So much so that a cult has formed around some special abilities he possesses. Roy (Shannon), the boy's father, enlists the help of Lucas (Edgerton) to help him get Alton away from people who could potentially cause him harm which even includes government agencies like the FBI. 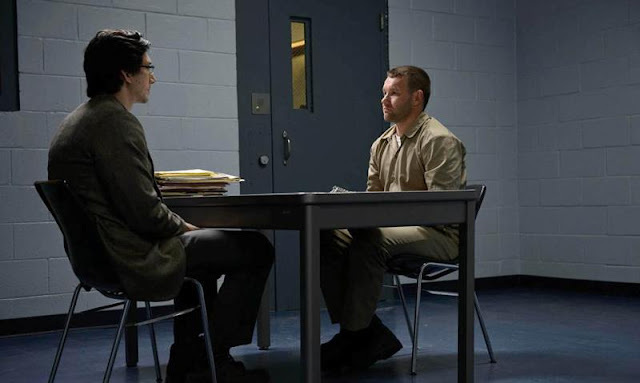 On the run and fearful that Alton's abilities are hurting him more than anything else, they decide to head for a set of coordinates that could be the source of a solution although they have no idea what it might be. This is the type of science fiction film that isn't afraid to tell the audience to pay attention, keep up, or get left behind. 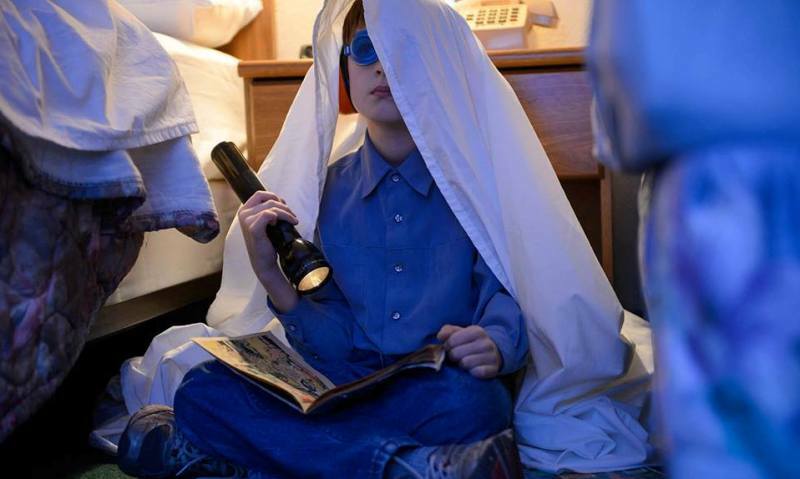 There's a definite resemblance to Spielberg's Close Encounters as it has some very similar story telling elements. It's a very smart and well written film although it opens up a ton of questions and only answers a few of them. 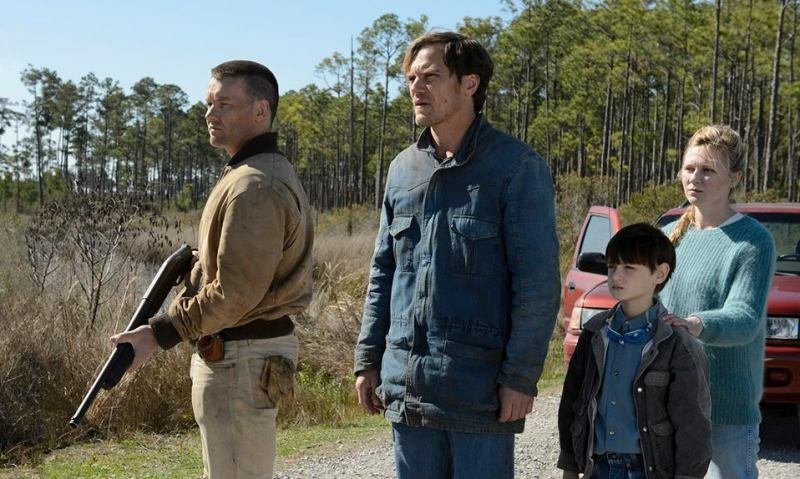 Director Jeff Nichols does a great job of giving you bits and pieces that keep you guessing, he throws in a few legit jump scares, and you can't help but stay on the edge of your seat as the tension continues to build right up to the end. Nichols has been working with Michael Shannon for years now and everything they have put out there has been at least pretty solid if not really good although this might be their best collaboration to date. Shannon is great as the protective father who will do anything to keep his boy safe. Another standout in a supporting role is Adam Driver who, thanks to his role in Star Wars, has become one of the most recognizable actors in America, and his performance here shows why he may also be one of the most talented. I also have to mention the young Jaeden Lieberher (The Confirmation) who has had a pretty impressive career in just a few short years. 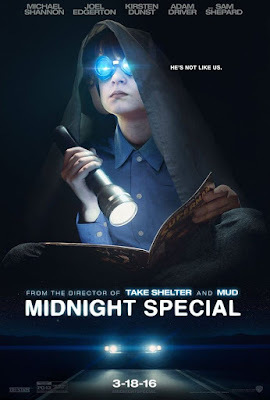 Midnight Special truly is a special film, filled with cults, conspiracies, family drama, great acting performances, and a no holds barred approach to the science fiction genre. It took me a while to really let this one sink in as there are so many things left unexplained yet that's kind of the point since, as a viewer, you are supposed to draw your own conclusions as to what is really going on. I'm afraid this film may not be for everyone, but I believe everyone should give it a chance. It's not often we get a really good film that pushes and pokes at conventional storytelling like this one does.